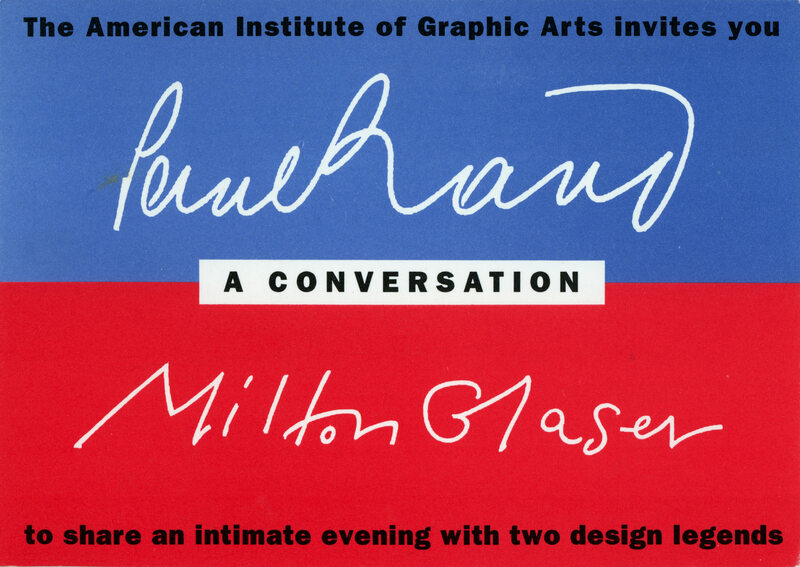 [American Institute of Graphic Arts]: PAUL RAND | MILTON GLASER: A CONVERSATION. 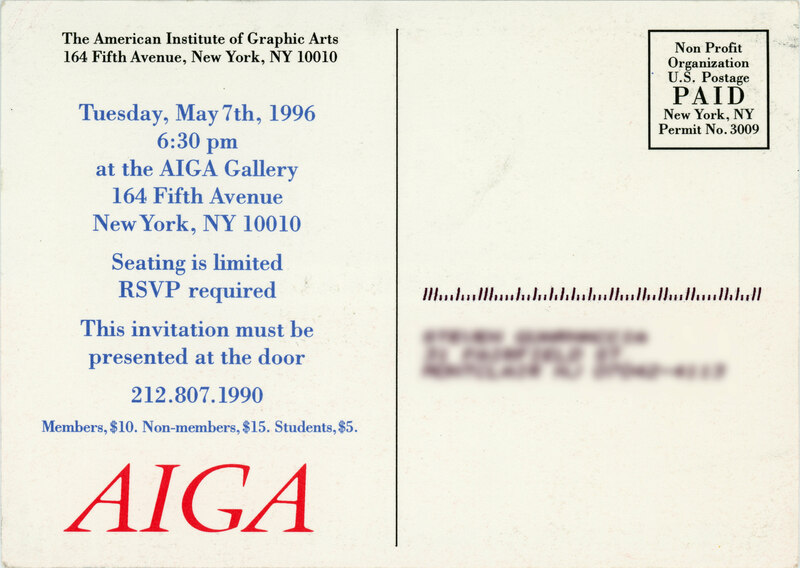 New York City: AIGA/NY, 1996. First edition. A very good [mailed] postcard with automated address. Out-of-print. On the website for Print Magazine [“Milton Glaser talks about his role models” by Caitlin Dover (May 14, 2010)]: “I personally was influenced by Paul Rand,” says Glaser. “He created a kind of platform for everyone to work from. He was in many ways a thorny man but uncompromising in his work. He showed you could do first-class commercial work. He set a durable standard—his work has an ongoing, universal, nonstylistic value. His stuff looks appropriate for our time as well as that time.” He also mentions Joseph Baum (a client), Lester Beall, George Salter, and Herbert Bayer as influences. Glaser is the first graphic designer to be presented with a National Arts Award , an important personal honor for Glaser and an important honor for the Graphic Design profession in general.